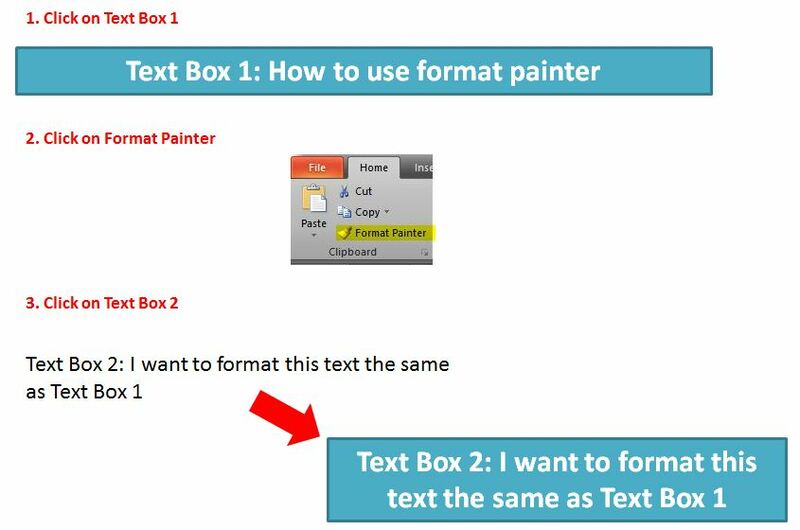 One of my favourite tools to use in PowerPoint is the Format Painter feature. I find it helps to keep all objects (text boxes, shapes etc.) consistent therefore ensuring your presentation looks professional, and it saves you a lot of time! If you want to apply the same formatting in multiple places, then double-click on the Format Painter icon. Once you’ve finished using it either click on the icon again or press Escape. That’s it – a quick way of making sure your slides look consistent and professional throughout your presentations.